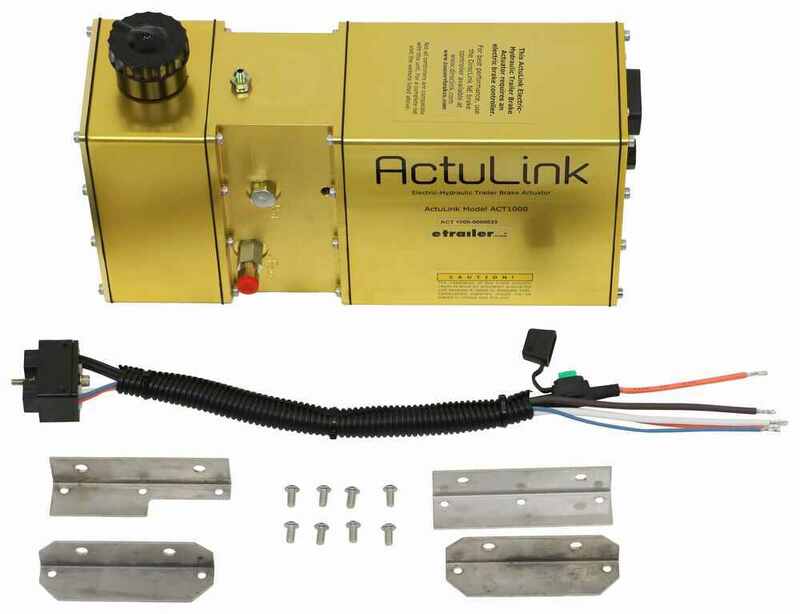 Get integrated trailer braking and diagnostics with the DirecLink network enhanced brake controller and ActuLink electric-over-hydraulic actuator for drum brakes. 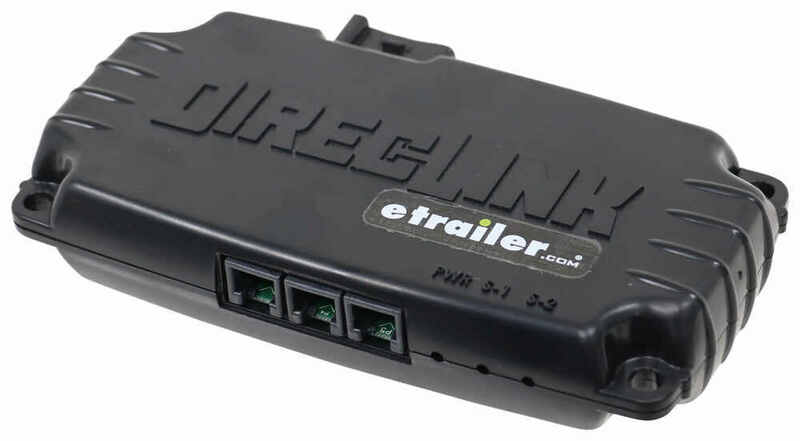 Communicates with your vehicle's computer network for optimal trailer braking. 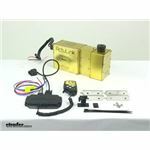 Call 800-298-8924 to order Tuson RV Brakes brake controller part number 335ACT-1000-DLNE or order online at etrailer.com. Free expert support on all Tuson RV Brakes products. 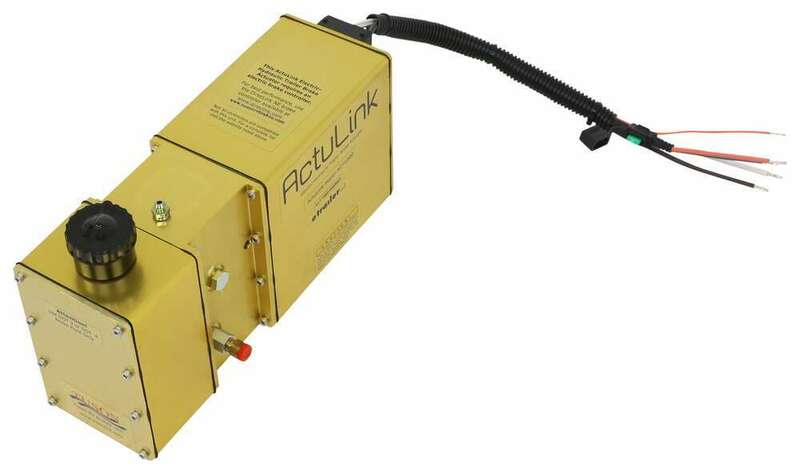 Guaranteed Lowest Price and Fastest Shipping for DirecLink NE Brake Controller with ActuLink Electric Hydraulic Actuator - Proportional - Drum Brakes. Brake Controller reviews from real customers. 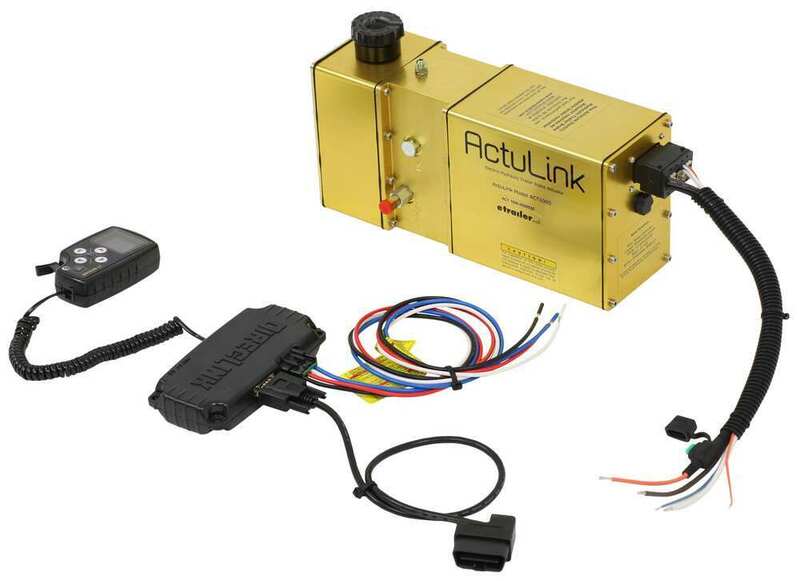 Speaker 1: Today, we're taking a look at the DirecLink NE Brake Controller with ActuLink Electric-Hydraulic Actuator. This system is designed for trailers with up to four axles or eight brake assemblies. 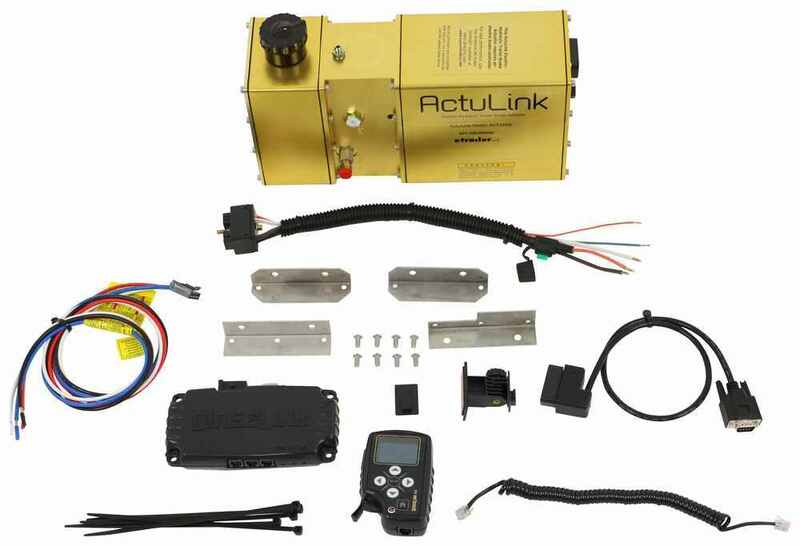 It's designed for use with electric or electric over hydraulic drum trailer brakes.The brake controller and actuator basically creates a digital two-way network for enhanced brake system monitoring and diagnostics. 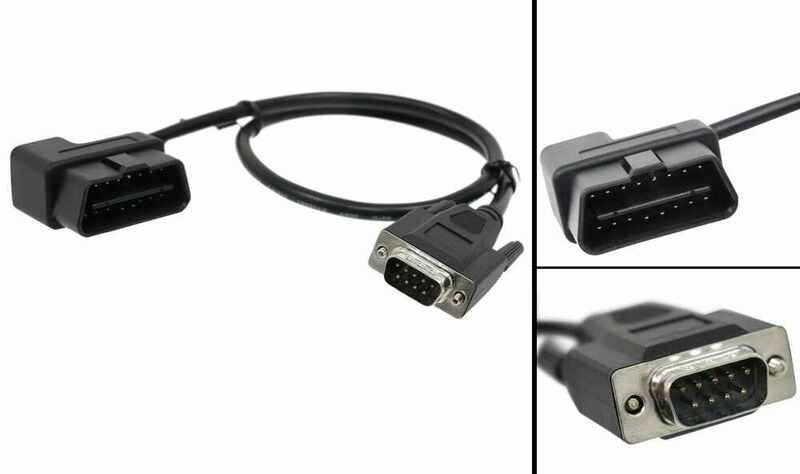 It automatically adjusts braking based on real-time data provided by your tow vehicle's computer network. 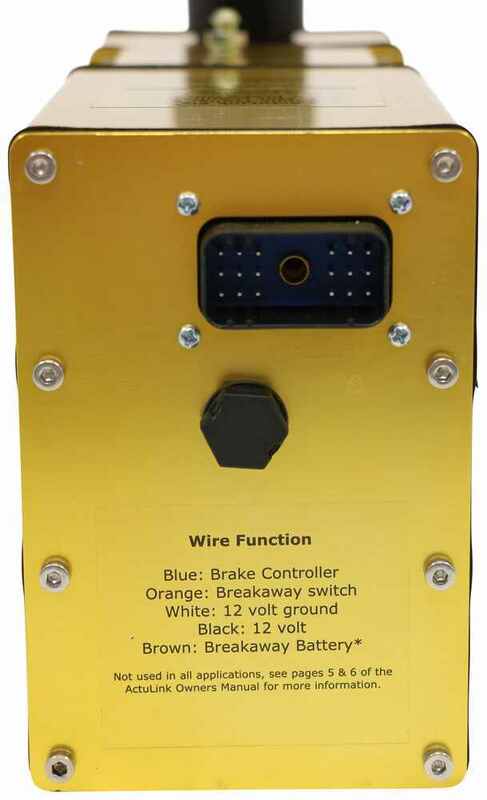 The brake controller activates the trailer brakes in proportion to your vehicle's braking action.Now, the brake controller is this component here. 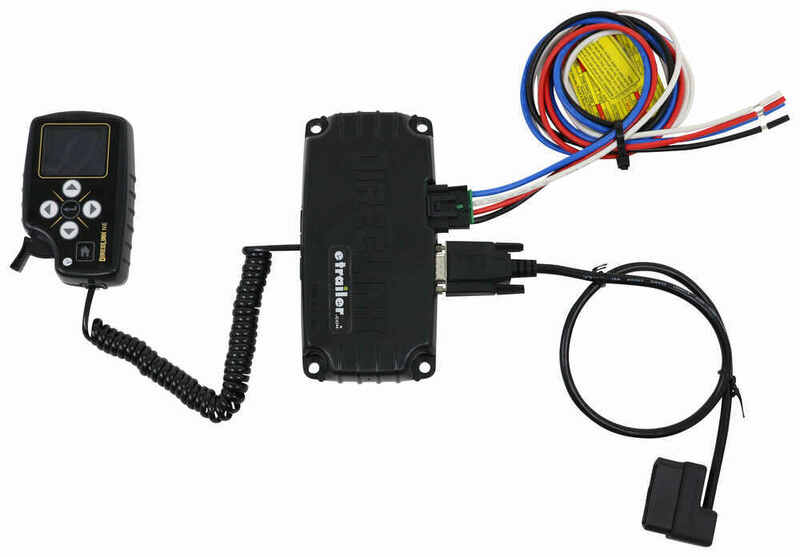 It plugs directly into your tow vehicle's computer network, and automatically configures your tow vehicle and trailer's brake system. It does come with a monitor or display. 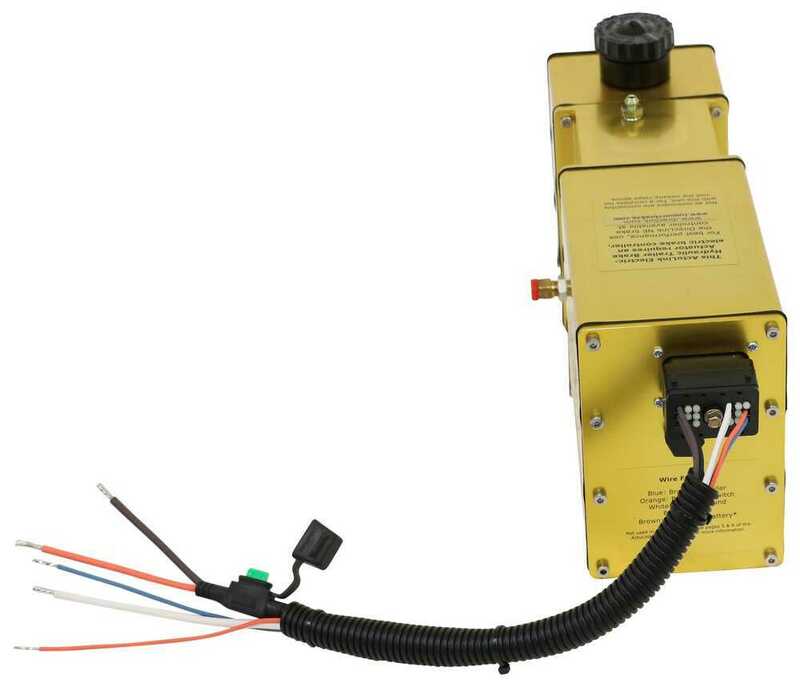 This is a color display that allows you to monitor your trailer's brake system status, and provides warnings when the system has errors that occur or failures that occur.It comes with a few different options for dash mounting. That way, you can easily mount the monitor. Easy navigation as well with the arrow buttons and the home button. Then, you have the nice display there, nice large display, it's easy to read and easy to see.The unit offers the most extensive towing diagnostics available on the market. 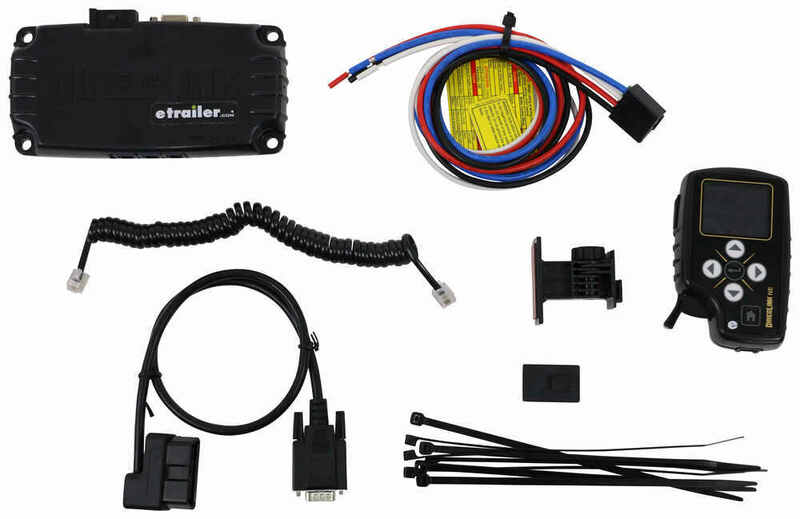 With this system, you can monitor your trailer connection, your tow vehicle battery voltage, engine RPM, transmission temperature for Ford and GM vehicles, ground connection to trailer, brake switch voltage, low speed brake adjustment and so much more. 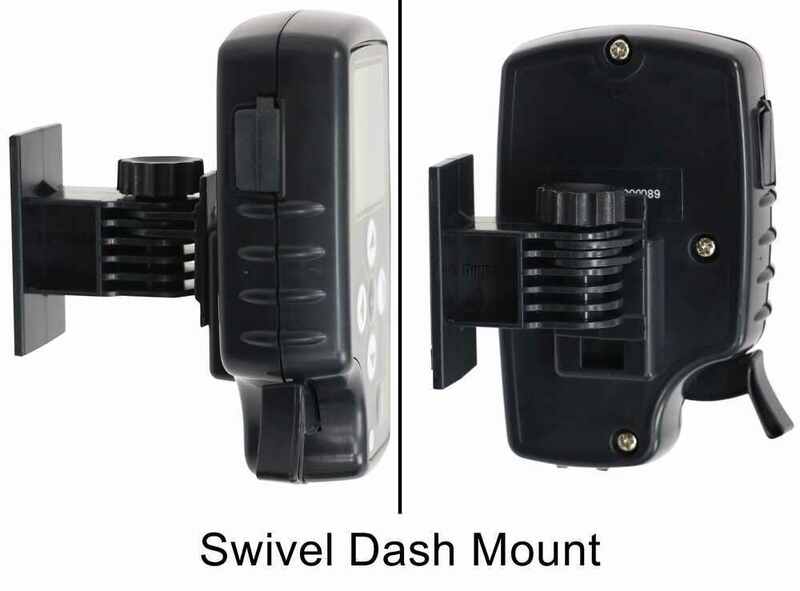 The brake controller features automatic leveling.This unit right here, your control box, can be mounted in any orientation without affecting the operation. It comes with cable ties for easy and simple mounting. 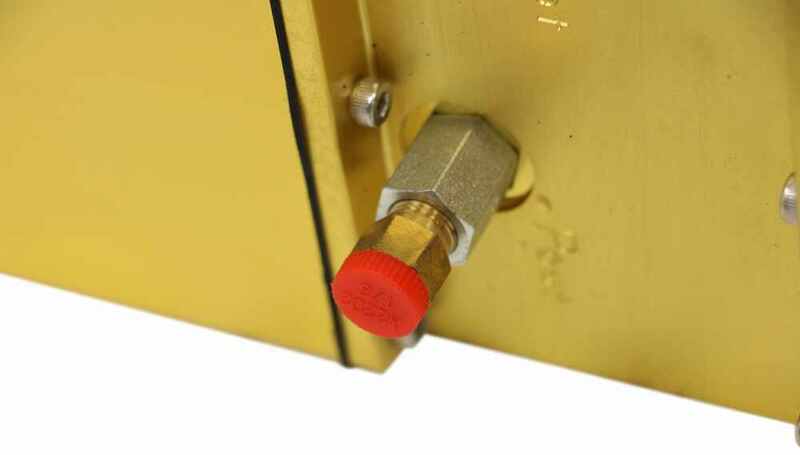 It features a spring loaded manual override that allows you to manually apply zero to 100% of your trailer's brakes whenever needed. 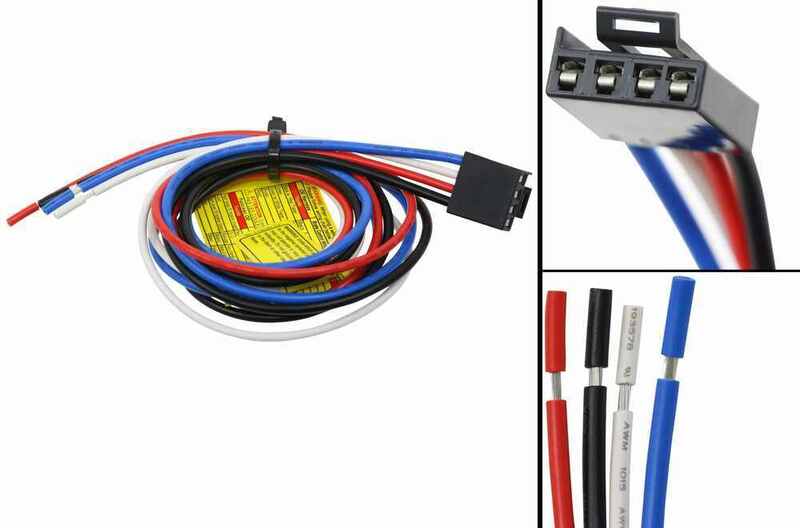 Also, it comes with the harness for the OBD-II Port and the harness needed to wire into your vehicle's wiring.Now, this can be hardwired to your vehicle's wiring system or you can check and see if there is a custom adaptor available for your vehicle, which would allow for a simple plug and play installation. Then, you have the actuator. This is a really nice unit. It is sealed, so it's weatherproof but it's not waterproof. 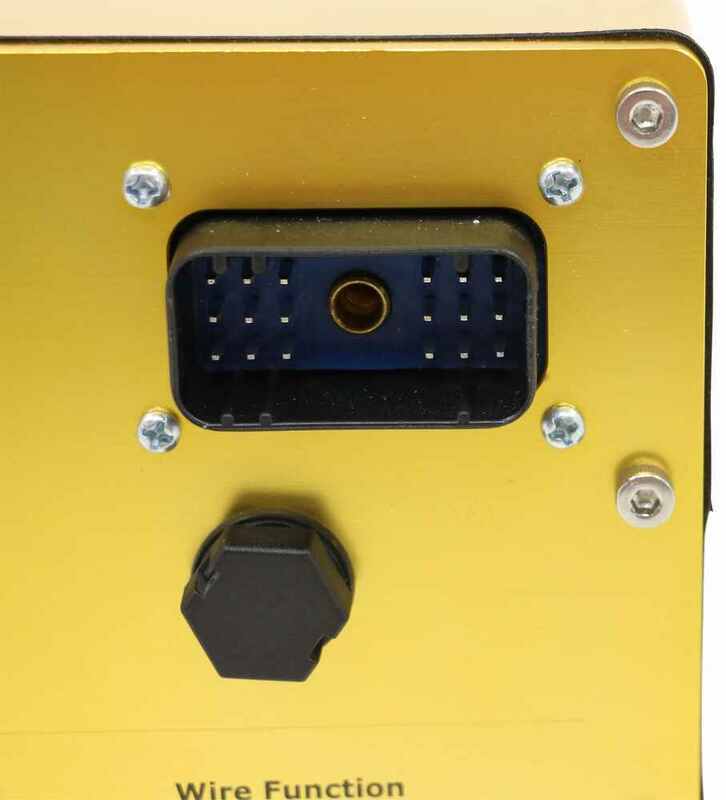 Meaning it will stand up to the elements, it'll keep out dirt, it'll keep out moisture, but it's not designed to be submerged underwater.This actuator mounts to your trailer and lets you monitor the status of your trailer brake system like never before. This features a maximum output pressure of 1,000 PSI. It mounts with the included brackets and hardware. 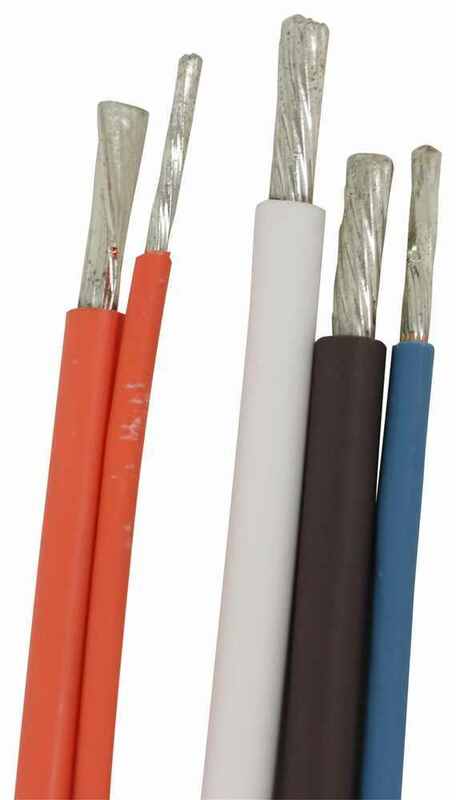 With the electrical connections on trailers, they often go bad. Also, brake fluid often leaks out of a broken fitting.Now, on standard applications, you would not be notified of that unless your brakes stopped working or they lock up or you see the fluid leaking. 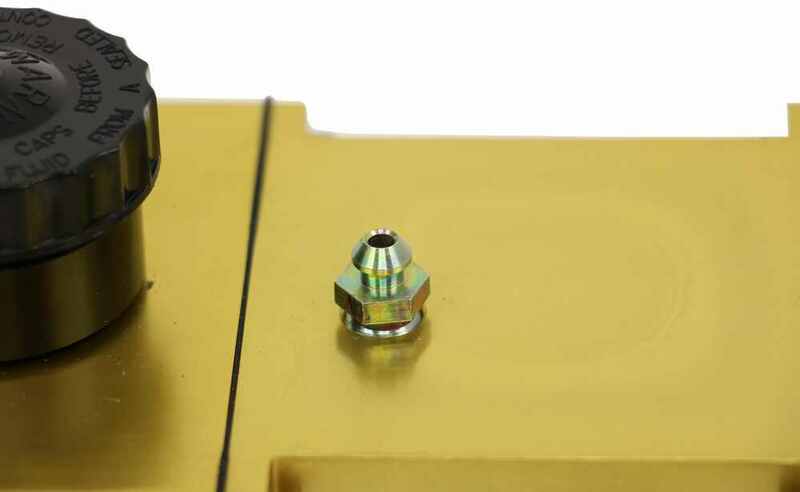 This actuator actually sends an immediate alert to the display of the brake controller, which will notify you as soon as possible from the cab of your vehicle of any type of faults that occur with your system.It also features anti-lock towable 00:03:22 braking capability which reduces emergency stopping distance, and greatly improves the stability of the trailer during braking especially in wet conditions. 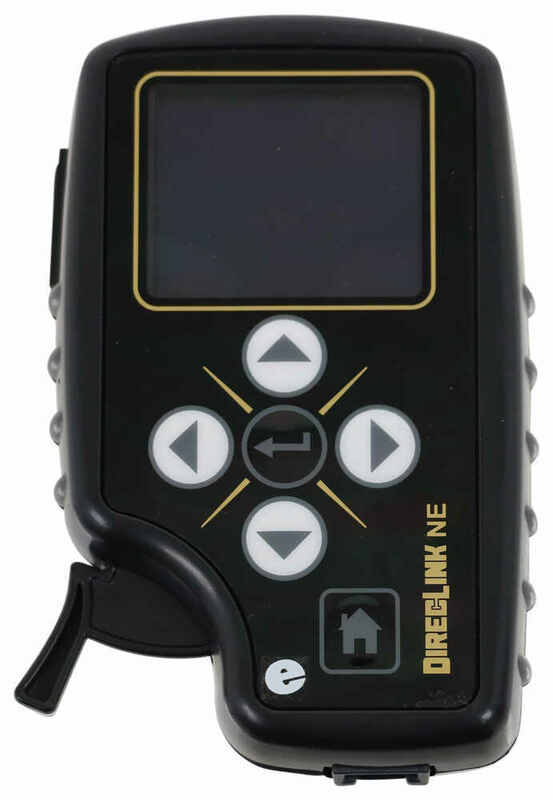 It comes with a harness, so that way, you can hardwire it into your trailer wiring.Now, this is the only electric-hydraulic actuator on the market in combination with the DirecLink NE that can monitor brake fluid level, actuator system temperature, low current and over current conditions as well as trailer battery volt level under a load. 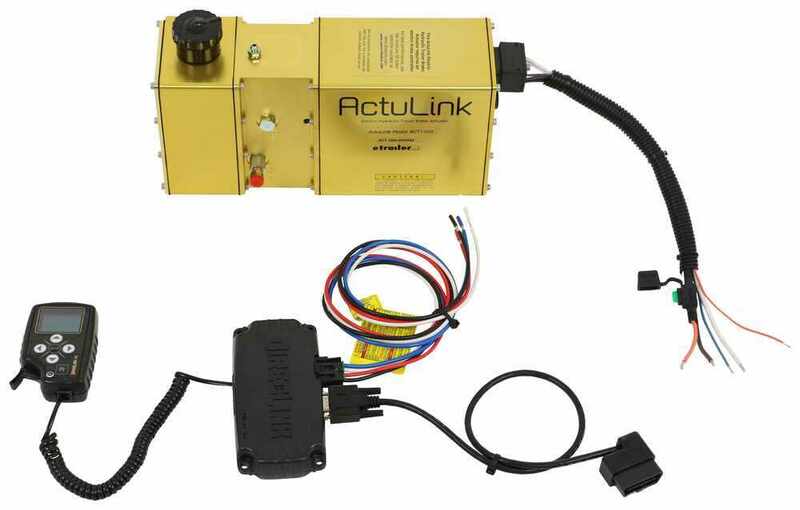 If you we're looking for a system that gives you complete control and awareness over your braking system when you're towing, then this is definitely worth considering.That's going to do it for today's look at the DirecLink NE Brake Controller with ActuLink Electric-Hydraulic Actuator.